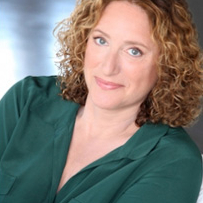 JUDY GOLD is one of most recognized, most diverse comedians of the last 25 years. From her groundbreaking HBO comedy specials to her award-winning Off-Broadway shows, Judy continues to entertain audiences across the country. Judy has a recurring role on the new TBS series, Search Party, and she was featured in Woody Allen’s series Crisis In Six Scenes on Amazon. Other recent TV appearances include guest-starring roles on Louie, Broad City, Inside Amy Schumer, The Unbreakable Kimmy Schmidt, The Jim Gaffigan Show, Difficult People, and 2 Broke Girls. She also won two Emmy awards for writing and producing, The Rosie O’Donnell Show. Judy appears regularly on The Steve Harvey Show and has made numerous appearances on The View, The Wendy Williams Show, and The Today Show.